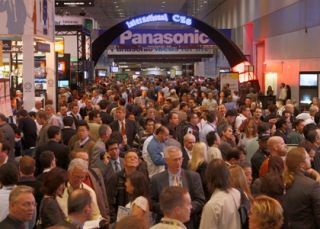 Registration for CES 2011 is open, with the technology world already beginning to look ahead to a show which sets the tone for the year. CES 2010 did not disappoint, with a slew of new products and major announcements and the Consumer Electronics Association will be hoping that CES 2011 lives up to its predecessors. "The energy and buzz surrounding the 2011 International CES is already in motion, as we prepare for dynamic new exhibit areas that reflect the vibrant CE industry," said Karen Chupka, senior vice president, events and conferences, CEA. Highlights from CES 2010 included Samsung's LED 9000 series which is still making waves and, of course, the Toshiba Regza Cell television. Those who doubted the staying power of the latest 3D revolution were shown that the entire electronics industry was putting its weight behind the latest TV tech and the beginning of the slate revolution was spotted ahead of Apple's iPad announcement. So what will the highlights be for CES 2011? Expect a shed load more connected devices, with internet televisions, set top boxes and even white good likely to be given a cloud makeover. And don't rule out a mass of Google Chrome OS-toting devices and Windows 7 tablets, as well as the latest Windows Phone 7 handsets.